Starting in April, with construction lasting through this fall, Main and Michigan/St. Joseph streets will be converted from one-way to two-way streets. From Chippewa Avenue to Bartlett Street, work will bring streetscape improvements, in addition to the construction of three new roundabouts—at Michigan and Bartlett, Michigan and Marion, and Michigan and Chippewa. I want to be candid about the inconvenience: your commute may be affected by construction, particularly in late summer as the intersections of Michigan at Bartlett and Marion are taken out of service for three months while the improvements are made. But the resulting improvements will be well worth the temporary disruption. During construction, access to businesses and residences in the area will be maintained. To keep residents and business owners up-to-date on construction progress and traffic patterns, the City will maintain this special website, host live web cams, and attend public meetings throughout the year. 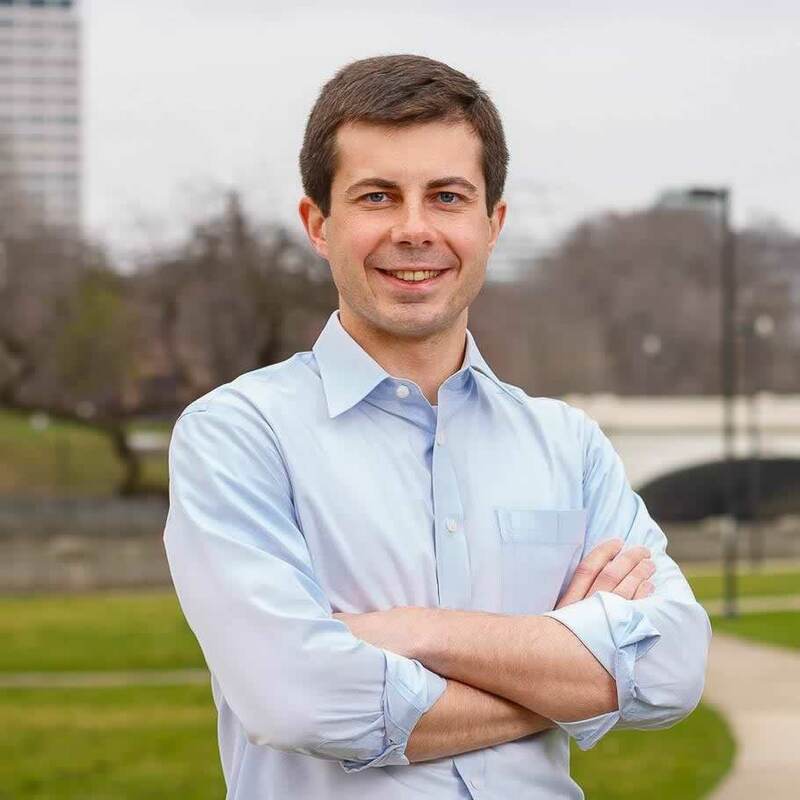 It’s all part of South Bend’s Smart Streets initiative to create safer, more appealing streets while creating a more vibrant downtown with a stronger sense of place. View the Construction & Closure Map to see how your commute may change during the 2-way conversion project. This map allows you to view lane, sidewalk and parking closures by simply clicking on an individual segment. You may also turn on and off layers using the legend to the left of the map. 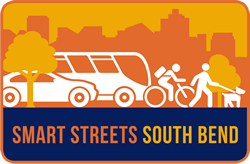 South Bend’s Smart Streets initiative is an effort to create safer, more efficient transportation by creating new two-way traffic patterns that better accommodate motorists, transit riders, cyclists and pedestrians. Smart Streets projects—which incorporate new curbs, sidewalks, street lights, and trees—also enhance the overall quality of life by contributing to a more vibrant atmosphere and attracting economic development. Smart Streets also come with big public health benefits. By making walking and biking safer and more convenient, it makes it much easier for people to build routine physical activity into their daily lives. Research underscores the economic value of converting to two-way streets. A growing number of cities, including Minneapolis, Louisville, and Oklahoma City, have converted the traffic flow of major streets to two-way, improving quality of life, increasing property values, business revenue, and bike and pedestrian traffic, all while reducing crime. South Bend’s already completed Smart Streets projects include converting William, Marion, and Madison streets and Lafayette Boulevard from one-way streets to two-way streets, and making streetscape and other improvements to Jefferson Boulevard in the East Bank neighborhood. The improvements, including those to come on Main and Michigan/St. Joseph streets, already have been cited as a factor in more than $100 million in new downtown investment, including the former LaSalle and Hoffman hotels, the Chase Tower, the JMS Building, and the former College Football Hall of Fame. Sign up to receive updates about all things Smart Streets. Our releases will include information regarding road closures, construction updates, and more.